Overall season-ticket packages will be going up an average of 8.2 percent in 2014. 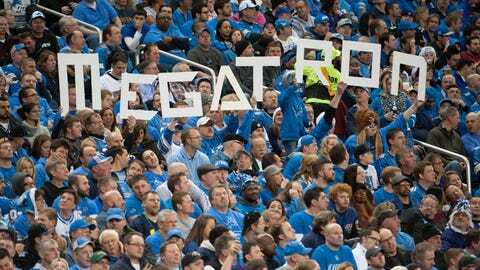 Detroit Lions’ fans will be paying more for marquee games but less for preseason games based on a new variable ticket-pricing system announced Monday. Games will be broken into three categories. Thanksgiving Day and other potential prime-time match-ups will cost the most, but the exhibitions are going to be as much as 70-percent less, the Lions said in a news release. In the end, however, overall season-ticket packages will be going up an average of 8.2 percent in 2014. In other words, the only fans really saving money from last year will be the ones buying individual-game tickets for the preseason and possibly some lesser regular-season matchups. 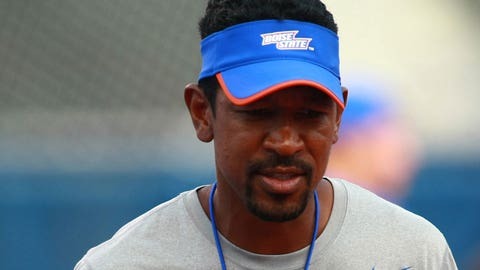 Boise State offensive coordinator Robert Prince will be the Detroit Lions' new receivers coach, according to FOX Sports' Alex Marvez. "The decision to incorporate an increase in overall ticket pricing was made after careful consideration," club president Tom Lewand said. "To remain competitive in the NFL and offer an extraordinary fan experience, we need to be able to invest right back into our product and that’s exactly what we’ll continue to do." The increase moves the Lions from 29th in the NFL in average ticket price to no higher than 25th, according to the club. "Our focus is on a value proposition and the desire to have a top-level product in the NFL for a mid-level or below mid-level investment," Lewand said. "The Ford family allows us to charge below-average prices while demanding a championship team." The Lions, who were 7-9 in 2013 and 4-12 in 2012, have made the playoffs once in the last 14 years.